Bombings in Grozny, special operations in the mountains, rebel leaders killed in Chechnya's neighboring republics... News from the North Caucasus show a reality that the Chechen authorities have often said to be long gone. The hot summer of 2012, however, tells a different story. When questioned about the number of rebels in the country, Chechen president Ramzan Kadyrov always answers with the same figures: 70-80 people. Every time, he adds that the destruction of these few "demons", as he defines his opponents, is a matter of few months, maybe even weeks. But years pass, and the number of rebels in Chechnya does not decrease. On the contrary, the feeling is that, while the Chechen leadership basks in an almost unlimited power, its armed opponents are not losing time. They move confidently throughout the Republic, dodging Kadyrov's many special corps. They move easily between the various territories of the North Caucasus. They are able to design and implement attacks in the capital, right under the noses of thousands of Kadyrov's and Russian soldiers stationed in Chechnya, as happened a few weeks ago in Grozny, when two suicide bombers blew themselves up near a military base, causing the deaths of four Russian soldiers and several wounded. The attack, with the deaths and injuries in the Russian military, was a blow to Kadyrov's image. Above all, it put the leader in an awkward position with respect to Russia. In fact, the young president has often presented as his main merit the fact that in recent years, thanks to him, the coffins of Russian soldiers killed in Chechnya have ceased to arrive in Russia. On this, Kadyrov speaks the truth. Until the middle 2000s, dozens of Russian soldiers in Chechnya were killed and injured every week, while the number of victims has drastically decreased in recent years. This is, however, not because the conflict has stopped. Simply, those who die are now soldiers and agents of Kadyrov's special forces or the local Interior Ministry. And now, suddenly, four Russian soldiers are dead. Understandably, therefore, the attack has caused particular concern among the Chechen authorities, who immediately started looking for the culprits. To explain the magnitude of the event to the public, but also – and foremost – to the Kremlin, Kadyrov has brought back old ghosts. Soon after the attack, he said he suspected the Gakayev brothers, well-known local warlords – a detail that would give the attack a totally different meaning. The Gakayev brothers, Hussein and Muslim, are well-known throughout Chechnya. They are the last survivors of a once large family: four older brothers died fighting the Russian and the pro-Russian Chechen troops, two sisters died under the bombs – more than sufficient a reason for the hatred and the thirst for revenge of the Gakayev survivors, who are actually considered to be among the moderates of the Chechen resistance. Unlike many young rebels, they do not fight under the banner of the global jihad, but for the independence of Chechnya. A couple of years ago, a group of Chechen commanders put an ultimatum to Doku Umarov, former president of the independent Chechen Republic of Ichkeria and self-proclaimed leader of the Caucasus Emirate that would unite the Mujaheddin of the region. They blamed Umarov for replacing the idea of the independence of Chechnya with religious slogans on the global jihad, and insisted that the resistance had to fight to liberate the occupied homeland, rather than chasing an elusive Emirate. In addition, commanders did not approve of the choice of targets for Chechen attacks – Kadyrov's men, rather than strategic objectives like Russian bases and checkpoints. The initiator of this ultimatum and leader of the "dissidents" was the elder brother, Hussein Gakayev, commander of one of the strongest and largest Chechen paramilitary units. As if to prove that the attack on the strategic structures above are entirely within the reach of the rebels, Hussein Gakayev and his men carried out two sensational actions. In August 2010, Gakayev's men attacked Tsentoroi, the birthplace of Ramzan Kadyrov, which resembles more to a medieval fortress than to a common village. According to official data, during the attack six policemen guarding Kadyrov's residence were killed and 18 seriously injured. 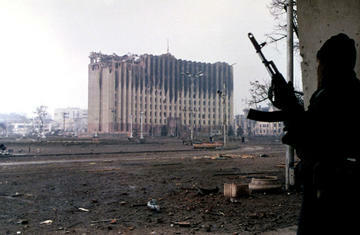 Soon after, Gakayev's men attacked the Chechen parliament, located in the center of Grozny. Three militants entered the building on the day of the visit by Rashid Nurgaliyev, then Russian Minister of the Interior, which amplified the audacity of the whole operation, during which three policemen died. The Grozny authorities, used to tell of their victories over the rebels, reacted with shock and anger. But for the population, the Gakayevs have become legendary. And a year later, when elder Gakayev and the rebels returned to Umarov's fold, Hussein started to be considered the dolphin of the Caucasus Emir. He won the rebels' consent by assuring that, once got the power, he will immediately begin to focus on the struggle for Chechen independence, abandoning the pan-Islamic aspirations. And now, the sensational attack that Kadyrov was quick to attribute to the Gakayevs forced everyone, once again, to talk about them. 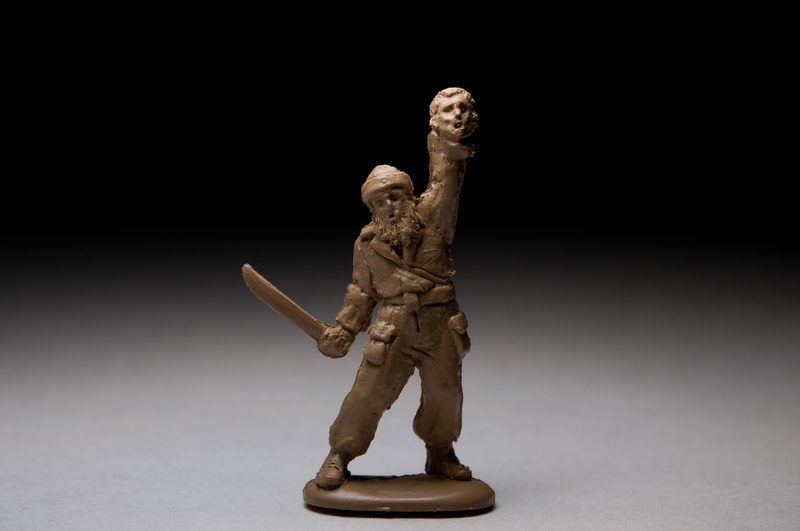 In recent years, the Russian army and Chechen troops have eliminated dozens of famous rebel commanders, including three presidents of the republic of Ichkeria, a president of the Parliament, and many parliamentarians. In the ranks of the resistance there are no charismatic figures left, people whose name is known to any child in Chechnya. On the one hand, it is a great success for the Kremlin and Kadyrov. On the other hand, the lack of a well-known opponent leaves no one to ascribe their mistakes and failures to. Therefore, figures such as Gakayev are necessary for the Chechen government. As long as the Chechen resistance features a charismatic figure, whose exploits are legendary among the people, there is someone to blame for the occasional defaillance of the great leader who claims to have turned Chechnya into an oasis of peace and prosperity.